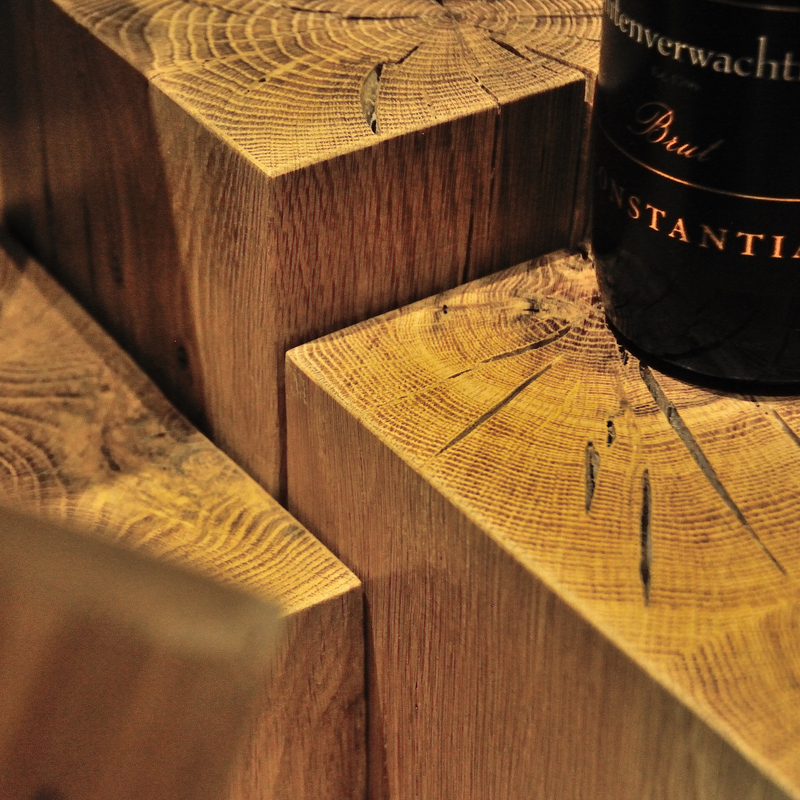 We were presented with the opportunity to convert the historic cellar building, a long narrow Cape Dutch barn overlooking the most exquisite garden with a 200 plus year old tree in the middle into the location for Buitenerwachting’s new wine tasting centre. 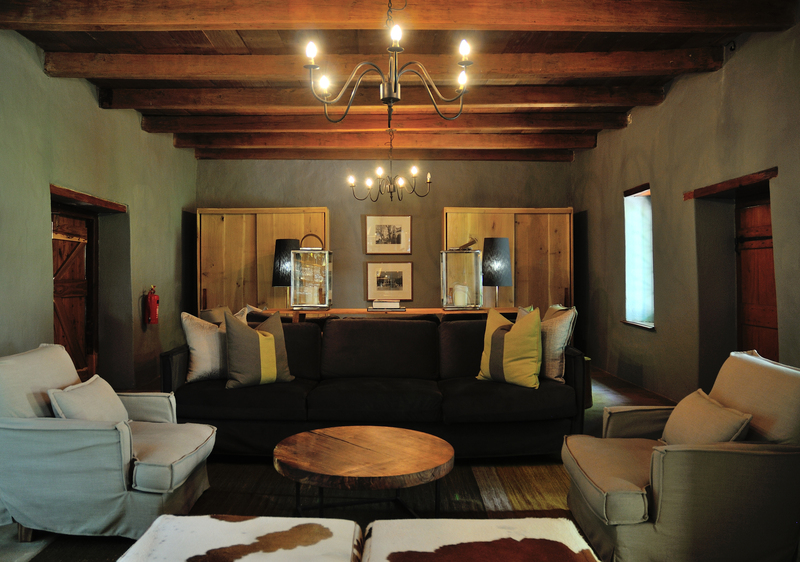 The building had some beautiful features to work with, such as chunky yellowwood beams, thick walls and a Corkoleum floor. It however presented a few challenges too in that the walls where soft and undulating, and the existing layout was not working. We decided to re-lay out the interior, freeing up windows looking out to the garden, and improving the inside to outside flow. 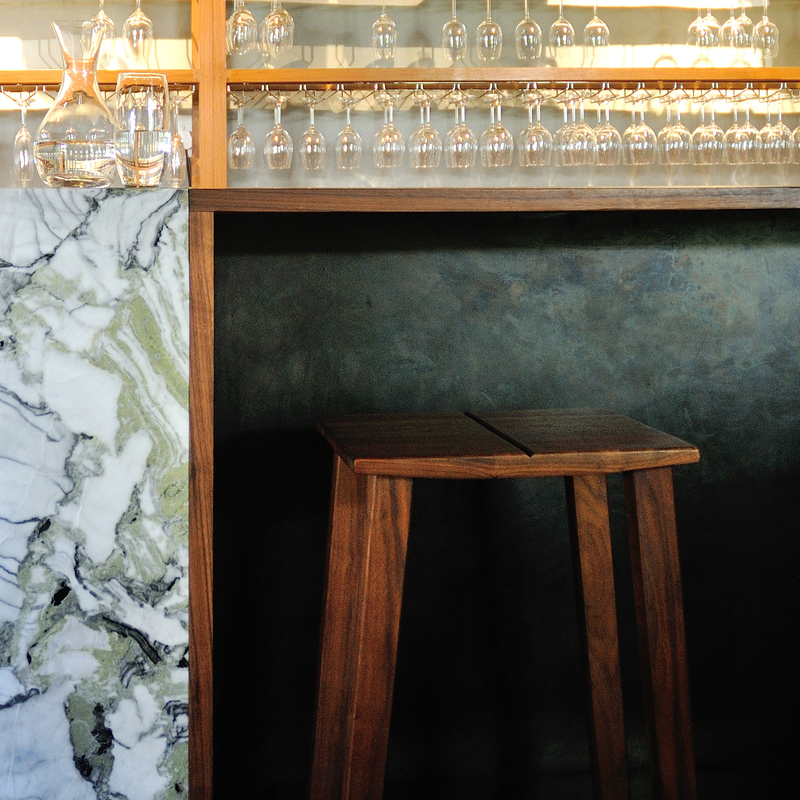 Inside one is greeted with a long wine bar to the right designed using a mix of solid timber, waxed steel and a highly textured block of marble. 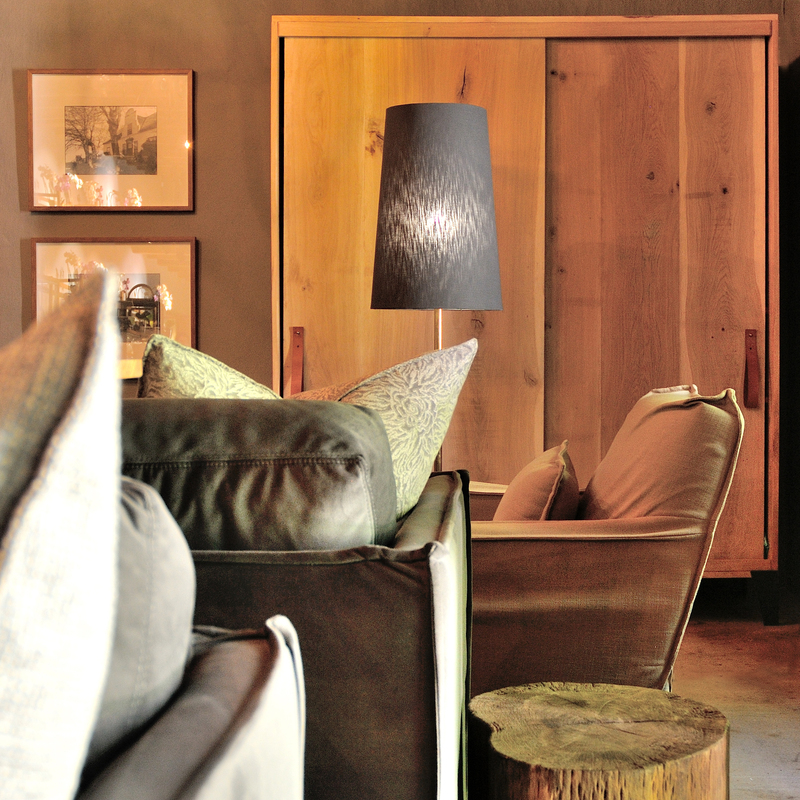 Opposite and at the end of the space is seating those colder days. 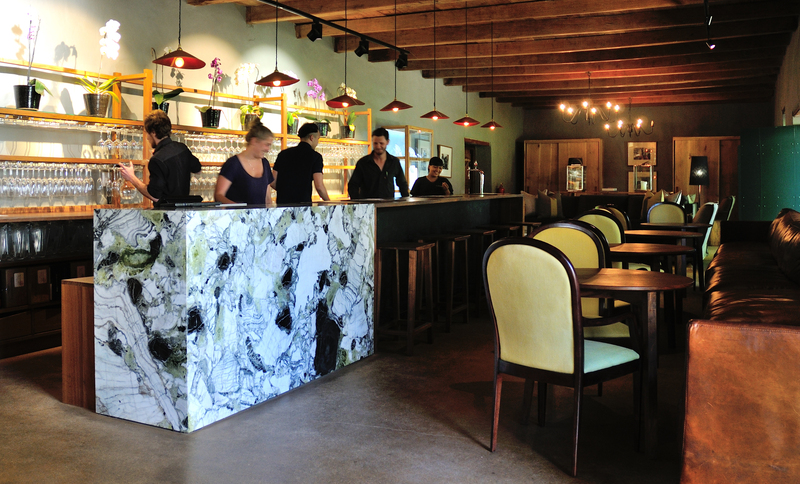 The interior was designed to stand independent of the building, to be understated, honest and complement its old bones. 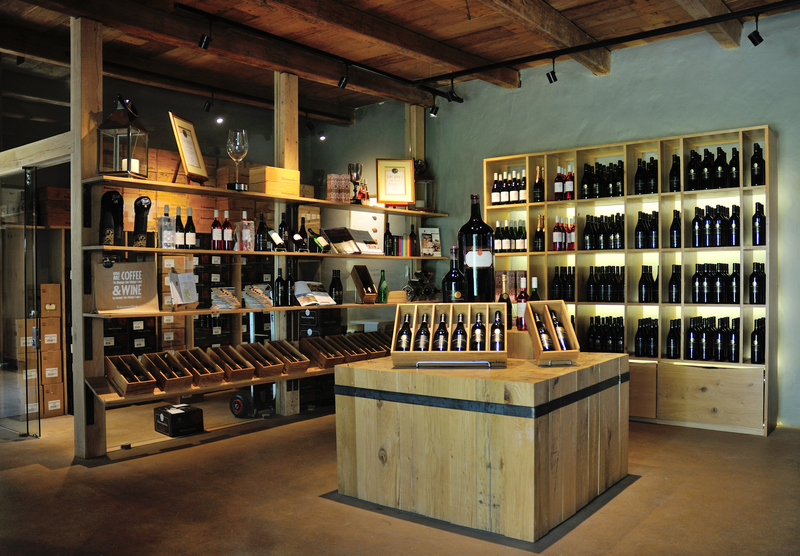 We also introduced a small wine shop with a solid oak chopping block in the center displaying wine and related merchandise. The veranda in front was broadened to create seating areas and a connection onto the lawns, inviting guests into the beautiful garden. This is not surprisingly the most popular place for most people to sit, and was an opportunity to showcase our new furniture range, Nama for the first time.